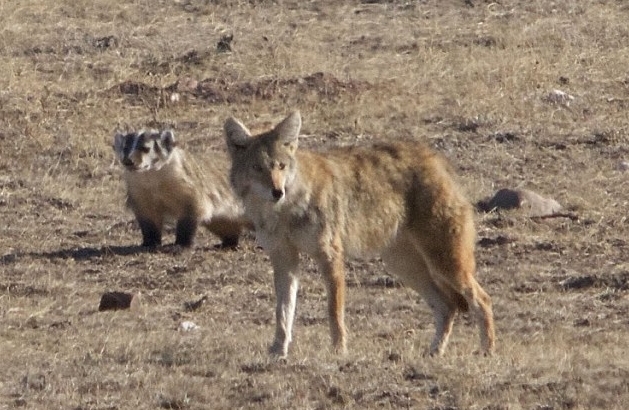 They may seem like a strange and unlikely match but this coyote and badger made quite the team when they were spotted together in Colorado. 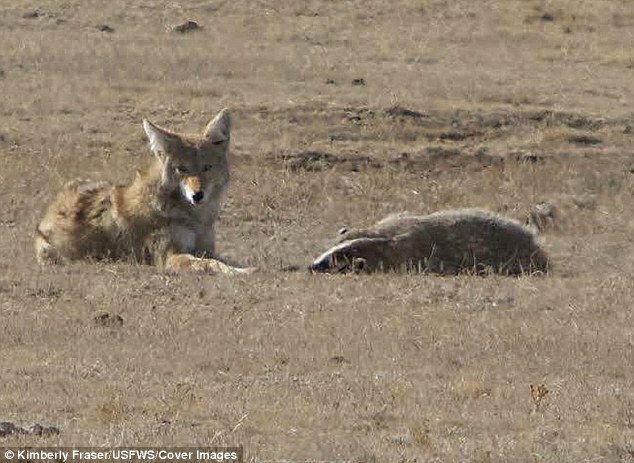 The coyote and badger were on the prowl together earlier this month as they hunted on the prairies of Colorado searching for food. 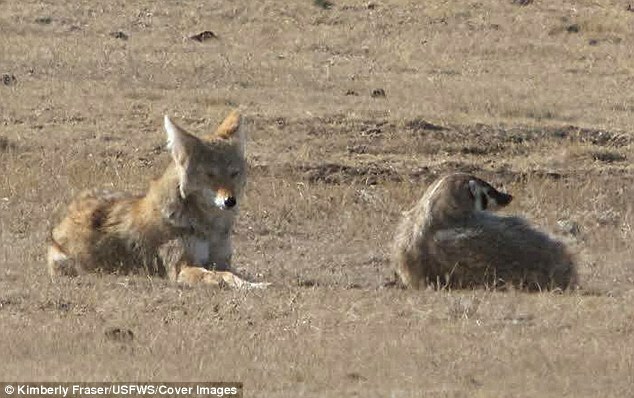 The two animals were pictured on the hunt for prey and lying down to take breaks next to each other - strangely comfortable in each other's company. The unlikely duo were snapped together by Kimberly Fraser of the U.S. Fish and Wildlife Service. While it may seem like a strange partnership, it is not that unusual for the two animals to work together. 'Each partner in this unlikely duo brings a skill the other one lacks. 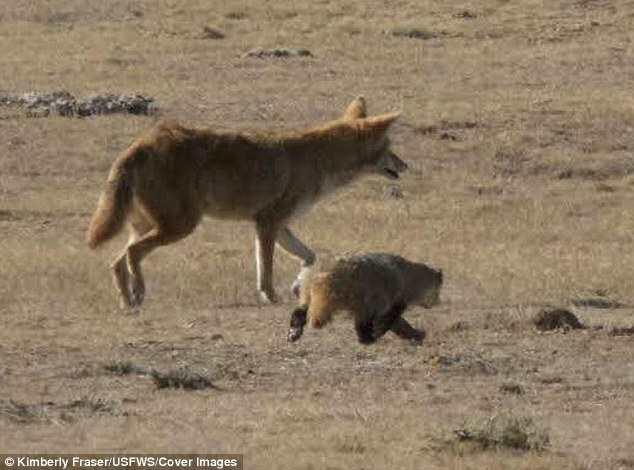 Together they are both faster and better diggers than the burrowing rodents they search for food,' a USFWS spokesperson said. The coyote features prominently as a trickster figure in the legends of America's indigenous peoples, alternately assuming the form of an actual coyote or a man. As with other trickster figures, the coyote acts as a picaresque hero which rebels against social convention through humor. 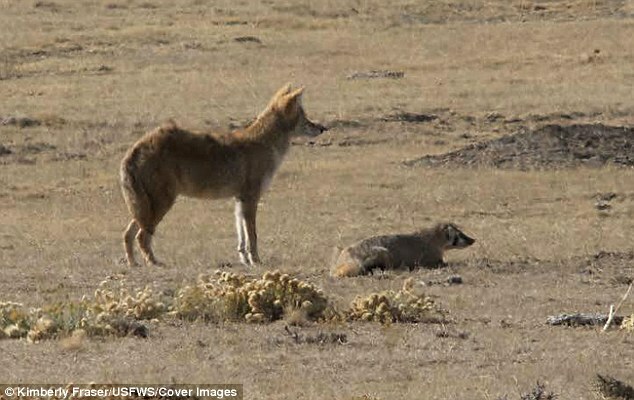 Responses to "Wild Coyote strikes up unlikely friendship with a wild Badger in Colorado"